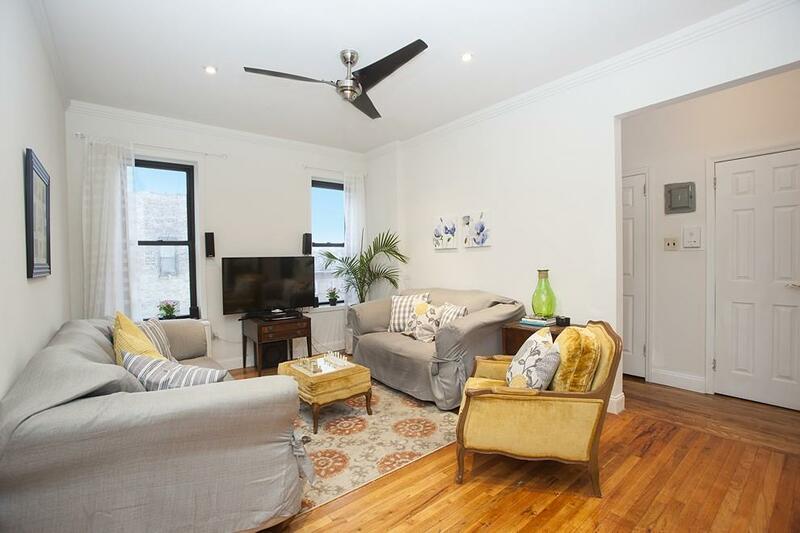 Inside of this beautiful pre-war building, sits this spacious and renovated one bedroom with eat in kitchen and a fabulous gallery entrance. There is a king sized bedroom, lots of closets and plenty of windows. Located on the top floor, the 2 exposures flood it with natural light. Plus it has a windowed kitchen and bath! Prospect Court is located on a tree lined block on the HOT Prospect Heights/Crown Heights border. Short walk to Brooklyn Museum, Prospect Park, Barclay's Center/Atlantic Terminal and many fantastic restaurants and bars.